The works of American craftsmen and artisans is the focus at Sundance Gallery. 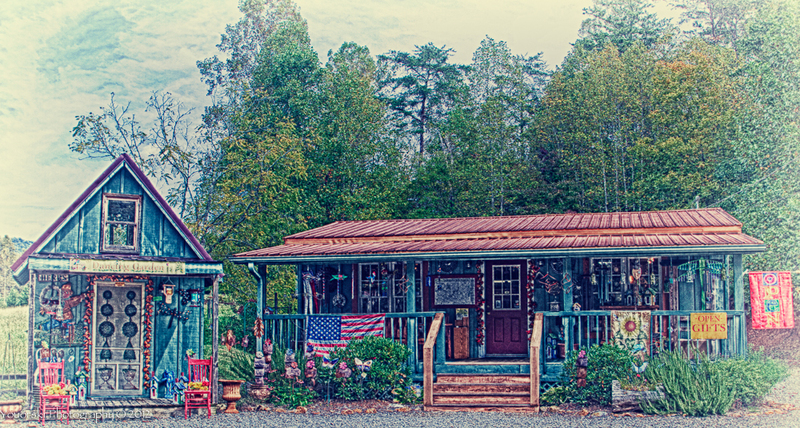 Here, owner Julie Willer has created an amazing collection of made-in-America pottery, woodcraft, glass art, jewelry and more — with many of the items crafted right here in the North Georgia and North Carolina mountains. Gorgeous (and functional) hand-thrown pottery ranges from oversize soup mugs and mini omelet makers to colorful decorative bowls and platters. Stunning, handcrafted jewelry takes advantage of everything from recycled copper and dichroic glass to reclaimed metal from shotgun shells. 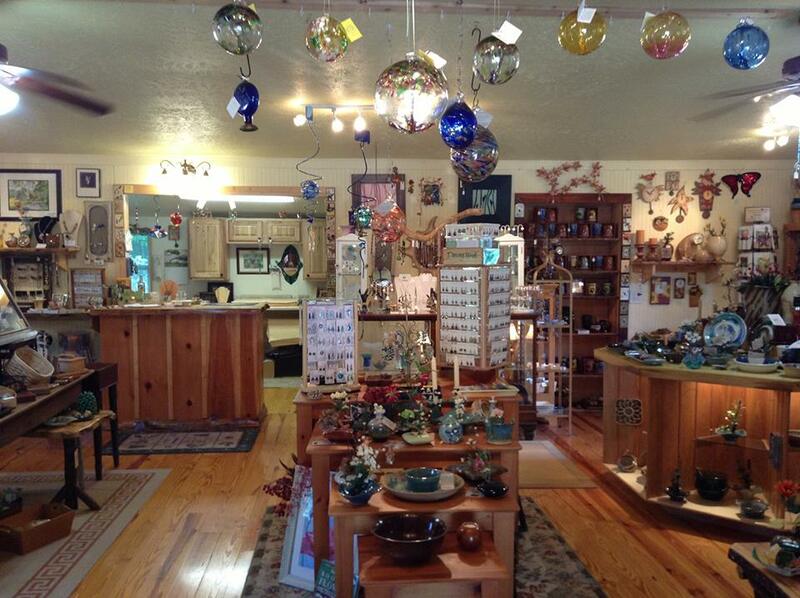 Plus, you’ll find hand-fired ceramic beads and distinctive crochet jewelry, all made in Blairsville. There’s also local gourd art, socks, hats and other wearables — plus plenty of soaps, candles and other good-smelling things! Be sure to stop in the charming garden shed adjacent to the gallery, where you’ll find an incredible array of garden accessories, lawn flags, bird feeders, weather vanes and porch decor. Sundance Gallery Gifts is located across from Alexander’s store in Blairsville and is open Monday-Saturday, 10 am-6 pm. A beautiful little Gallery Gift Store located across from Alexander’s Store on Town Creek School Road in Blairsville, GA. It’s a favorite shopping spot for many visitors and second home owners in the area since it offers unique, interesting and quality items made by American craftsmen & artisans – many of the gallery items are made locally and regionally. There’s a HUGE assortment of American pottery, jewelry, woodcraft, metal and glass art…plus so much more! You won’t believe the quality gift items available in this wonderful little shop out in the middle of the country!